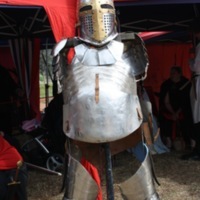 A photograph of a suit of armour at the Balingup Medieval Carnivale. 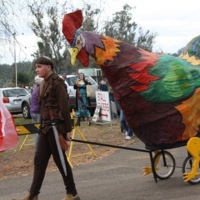 The suit is made of plate armour, dating it to post 1300. 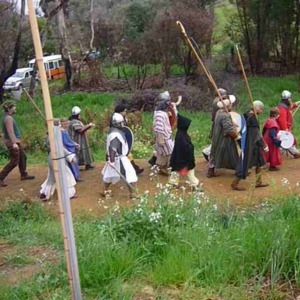 The suit includes a helmet with visor, breastplate, gorget, cuisse, and poleyn. 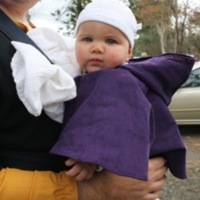 A digital photograph of an infant wearing a corduroy hooded cloak at the Balingup Medieval Carnivale. 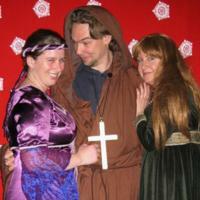 The cloak was designed and made by Aurore McLeod, based on an imagined medieval outfit for a wealthy child.